Accrediting agencies’ stamp of approval for colleges and universities serves as both an indicator of quality to students and families and a “gatekeeper” to over $150 billion in federal student aid. But sometimes, the information accreditors provide is confusing to students or insufficient to inform the Department of Education’s oversight functions. When that happens, it can jeopardize the studies and career prospects of students who rely on accreditors’ approval and put taxpayer dollars at risk. That’s why, in November 2016, the Department published the final version of a guidance letter that clarifies the requirements, terminology, and channels used by accrediting agencies reporting to the Department. As stated in a previous blogpost introducing the draft version of the letter, the guidance is part of our overall efforts to further strengthen the Department’s oversight of the higher education accreditation system by improving information sharing, transparency, accountability and focus on student outcomes. This guidance letter clarifies the terminology used when accrediting agencies submit information to the Department as mandated by Congress in Sections 487 and 496 of the Higher Education Act, and in the federal regulations at 34 CFR 602. It also provides them with instructions for doing so to ensure the Department’s Database of Accredited Postsecondary Institutions and Programs (DAPIP) is accurate and comprehensive. Specifically, the guidance creates standard definitions for the terms accrediting agencies use to describe to the Department the seriousness and implications of actions they’ve taken against institutions and programs. For example, different accrediting agencies use variations of terms – including show cause, probation, and warning – to refer to a broad array of sanctions indicating that an institution is out of compliance with the accreditor’s standards. But students and the Department sometimes have trouble comparing these actions across accrediting agencies. So the guidance establishes the terms and their definitions that the accreditor uses when reporting to the Department. For instance, agencies must report “probation” actions when an institution or program is significantly out of compliance with one or more of the accreditor’s standards, but hasn’t yet lost accreditation because it may come back into compliance. The guidance also requires accrediting agencies to submit for schools that receive federal financial aid their decision letters that outline the reason for taking actions such as probation, providing the context and details the Department needs for its own oversight and enforcement work. (For non-federal financial aid participating institutions, only a summary is required.) To support the Department’s focus on student outcomes, the guidance also includes a provision that highly encourages accrediting agencies to submit to the Department other actions that relate to academic quality. To ensure the data we’re receiving from accrediting agencies are accurate, we’ve also built a new online reporting tool for accrediting agencies. The new portal will reduce the risk of human error and increase the speed of information-sharing with the Department and the public. The Department is currently conducting trainings for accreditors to enable them to utilize this collection system effectively. The Department, federally recognized accrediting agencies, and other stakeholders in the accreditation community share a common interest in protecting students and taxpayers, and in upholding the integrity of the higher education accreditation system. A collaborative process between accreditors and the Department demonstrates the shared interest in providing comprehensive, accurate, and reliable information about oversight actions and other efforts. We look forward to further collaborating and cooperating with all stakeholders to fulfil our obligations to Congress, states, and the public in postsecondary accreditation. Every year, over 23,000 youth leave foster care without the security and guidance of forever families. Although 70% of foster youth express a desire to go to college only about two-thirds enroll and, of those who do, very few graduate. The transition to higher education is challenging for most, but especially for these young people who don’t have the mentorship, encouragement, and financial support of family. Good news: Powerful examples of colleges and universities’ programs with great results show us that we can do better by foster youth. Jaquesha Scott graduates in June and, afterwards, will attend one of the ten law schools to which she was accepted. The first in her family to receive a bachelor’s degree, she is a Bruin Guardian Scholar at the University of California, Los Angeles (UCLA). Through this program, which supports former and current foster youth, Jaquesha receives scholarships, year-round housing in the dorms, academic and therapeutic counseling, tutoring, health care coverage, and a campus job. Scholars also receive the basics that many of their non-foster care peers receive from their families, such as bedding, towels, and other necessities for personal care. This comprehensive support helps foster youth to persist through college. Western Michigan University’s Seita Scholars is another such program, which has helped more than 250 students through its program since 2008 by offering full, paid tuition and year-round housing to students placed in foster care on or after their 14th birthday. Each student receives targeted college counseling through a campus coach who teaches important life skills, such as budgeting for weekly expenses. Volunteers help each student create a financial plan, choose an academic major, and develop a career path. Other institutions and even seven states are stepping up to provide opportunity and support to foster youth in college. Higher education institutions like Sam Houston State University, City College of San Francisco, and community colleges in Tallahassee, FL, and Austin, TX have similar scholarships. Michigan, Ohio, North Carolina, Texas, Virginia, and Washington have comprehensive statewide-approaches with child welfare systems to improve these students’ graduation rates. Ensuring that foster youth have every opportunity to full their potential takes all of our collective efforts—at every level of our education system—and, at the federal level, we are working to do our part. The U.S. Department of Education released the Foster Care Transition Toolkit for foster youth, and caring and supportive adults with helpful information and resources as they transition to young adulthood. Good examples from the field show there’s more that can be done. For example, nonprofits and institutions of higher education could partner with employers to identify meaningful job and work-based learning opportunities for former foster youth. By age 24, only half of young people formerly in foster care are employed, although most were actively searching for work one study found. Unfortunately, young people formerly in foster care generally do not have the family, adult and community networks that provide role models support for job searches, and job leads. They are also less likely to have completed high school or postsecondary education through college or vocational training. Colleges and universities could do what Western Michigan and UCLA are doing: keep on-campus housing open during school breaks so that students who can’t go home, including youth who do not have an adoptive family, are homeless, or are from low-income families, have a safe place to sleep. Sadly, we know that, all too many students have to resort to living in homeless shelters or sleep in their cars during breaks when dorms are closed. States that administer Educational and Training Vouchers Program (ETV), which provides students up to $5,000 per academic year based on cost of attendance and available funds, also should ensure that disbursement of funds is synced with college and university calendars. Many students experience unnecessary confusion and stress when they are dropped from classes due to a bill that will be later covered by ETV funds. To better serve current and former foster youth from preschool through college, we need a fuller picture of foster youth outcomes and more complete information on their experiences. We know that children in foster care comprise some of the nation’s most educationally disadvantaged students: They experience school suspensions and expulsions at higher rates than their peers not in foster care, lower standardized test scores in reading and math, high levels of grade retention and drop-out, and far lower high school and college graduation rates. We can learn more from these students’ experiences to inform coordinated, community-based strategies, inclusive of colleges and universities, for serving current and former foster youth. I’m proud of Jaquesha and hope we all commit to making her story the rule instead of the exception. We will do so by correcting the injustice of turning our backs on former foster youth as they transition into adulthood through, together, developing a comprehensive system of support. A couple months ago – as part of our ongoing work to help Americans manage their student loans – the Department of Education launched a process to overhaul our student loan servicing for a better borrower experience. As we said then, our goal is ultimately to enhance oversight and accountability and improve customer service by creating a new loan-servicing system for all federal student loans that includes a new, single platform that clarifies for all borrowers that they have Department of education loans. This platform will mean that any borrower can log into a single website to access information, make payments, apply for benefits, and manage their account. In the future, multiple loan servicing vendors or “customer service providers” will plug into the platform. This will ensure that borrowers experience a consistent quality of service while allowing different loan servicing vendors to focus on the parts of the loan servicing process that they do best, instead of every vendor having to do everything. 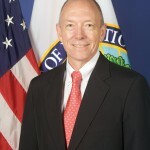 In the coming days, the Department’s Office of Federal Student Aid (FSA) will take the next step forward in that process, releasing the list of vendors who meet the technical capabilities to begin building the new system, which includes the single servicing platform that is critical to creating an improved, common borrower experience. Ahead of that announcement, we wanted to provide some context and information about what comes next. First – it’s important to understand what this list is (and what it’s not). These will not be the only vendors that have an opportunity to play a role in the new loan servicing system when all is said and done (more on that in a minute). These are vendors that have the technical capabilities, among other factors, to build the new servicing platform – the engine of the new system—and the functionality that will allow other customer service vendors, not just the vendor selected under this procurement, to use it. What hasn’t been determined yet are the detailed criteria for building the platform that best serves borrowers and for which these vendors will develop proposals in competing for a contract. That’s the next phase, and we need your help to get ready. The federal contracting process is a little arcane, but here’s the gist: a vendor will ultimately be chosen based on whether it best meets not just the technical capabilities, but a full set of FSA requirements around borrower servicing needs for the contract. Those requirements will be informed by the Department’s policy goals – including recognizing the rights we expect to see for borrowers and the responsibilities and track record of success in serving consumers that we expect. Those requirements will be in the solicitation documents for which we are preparing. Last fall, we began that work by issuing a joint statement of principles with the Treasury Department and the Consumer Financial Protection Bureau. And this spring we laid out key borrower protections and servicing standards for our new loan servicing system. Now we need to fill in the details. We know that some borrowers haven’t always felt like they were treated fairly or gotten the timely, effective help they needed under the current system. We’ve heard from borrowers about some of the challenges they are facing when managing their student loans and over the next few weeks, we will continue working with experts and stakeholders to identify the best ways to fix those issues and protect consumers. And we’ll be continuing to work with our federal and state government partners. But most importantly we want to hear directly from borrowers and members of the public to ensure that borrowers’ experience are at the center of our efforts. Your participation is critical to this process. Please make your voice heard by emailing us at ousevents@ed.gov by Friday, July 15. By the end of the year, FSA plans to choose the vendor that will build the new platform. It’s worth noting here that in obtaining the platform, the Department plans to acquire unlimited rights to use it, without additional cost, during and after the contract’s period of performance. Since the Department will own the system and because multiple vendors will use it in the future, no one servicer can become “too big to fail,” holding the Department hostage because only it can operate the system. Even then, “too big to fail” is never really an issue because the government can always arrange for a new contract—just like we are doing now in advance of the expiration of our current loan servicing contracts. While selecting a vendor to develop the technology that drives the new system is an important step forward, it’s not the end of the road. This is the first step towards creating a new system with an improved tech platform and multiple customer service vendors providing state of the art borrower engagement under single Department of Education branding. As I mentioned, there will be more opportunities for additional vendors in the new ecosystem. No single vendor will be responsible for every aspect of student loan servicing – but the new experience will be seamless to the borrowers. In the future, FSA will be seeking additional vendors to provide direct customer service to borrowers. Finally, while we’re eager to realize our vision for a new student loan servicing system, we’re also committed to taking the time to get it right. Selecting the right initial vendor to build the high-quality quality platform, identifying additional vendors to provide customer service, and transferring loans into the new system will all take time. In the meantime, we will continue to work with our current servicers to provide the best possible experience for borrowers under the existing system. Staff Update: Earlier this afternoon, U.S. Education Secretary John B. King Jr. sent the Federal Student Aid Chief Executive Officer a memo entitled “Consideration of Past Performance in Student Loan Servicing Recompete,” which you can view here. The Under Secretary asked the Department’s Teacher and Principal Ambassador Fellows to share a professor and/or practitioner who positively impacted their career in the classroom in recognition of Teacher Appreciation Week. Read on to be inspired by these teachers who have trained great teachers. “Professor Goswami changed my entire conception of what it meant to be a teacher, and she impelled me to leadership (without ever using that word). I met her the summer after my first year of teaching, and in few moments of conversation, she drew out of me the nature of the most important literacy work my students had been doing that year. After our first summer discussions, I realized that my students’ writing and reading skills could be most effectively developed if I were to co-research with them the nature of the discourse they did every day for differing functions, and that I could co-engage with them to find meaningful, authentic contexts for their writing. Ms. Goswami also positioned me– through those summer mentoring sessions — to CREATE pedagogical understanding and knowledge by enacting online work with colleagues, and in the process by holding each other professionally accountable for valuing and inquiring into the complexities of our students’ work. After that first summer being challenged and supported by Dixie, I never felt like I was doing my students justice if we weren’t actively corresponding and engaging with different sets of students and classrooms, and if we weren’t co-inquiring, researching, and publishing together. “I’m grateful because Dixie Goswami helped me develop the common sense and deeply theorized notion that a teacher’s first source of knowledge is the work and experience of his or her students. “I am grateful because Mr. Turner helped me develop an understanding that student learning is more about promoting the process over focusing only on the product. 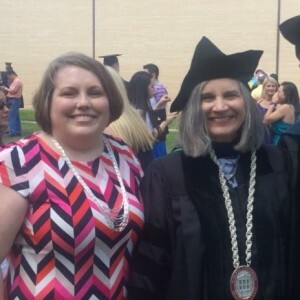 “I’m grateful Dr. Harper (pictured at right with JoLisa) involved me in the pilot year of Servant Leadership as a preceptor because her classes in communications and leadership in Servant Leadership sparked my interest in leadership and especially in teacher leadership. She helped me develop communications skills to advocate on behalf of my students and taught me leadership skills that have been useful in multiple settings, including my work in Teach to Lead here at the Department. “Andrea was my staff developer when I was in my second year of teaching at Baruch College Campus High School. I was new to the school, and had taught my first year in the South Bronx. She supported me in teaching my 11th grade American Literature course, as I was developing a curriculum from scratch. “I’m grateful because Andrea helped me develop my teaching practice to include all students in active learning. “I’m grateful because Kim taught me how to observe quality teaching, time management and the power and importance of having difficult conversations. Additionally, Kim writes and publishes The Marshall Memo, which helps teachers across the country stay current with reviewing educational research. “Dr. Santiago-Valles is an outstanding, no-nonsense, and yet fun educator who has transformed my life. At a critical moment in my undergraduate studies, Kelvin helped me understand that the discipline of sociology is not an aspiration, but rather a gateway to understand and influence how the arts, sciences, and society are interdependent. Kelvin encouraged me to explore the construction of personal and social identity while helping me to situate my findings in an academic context. “I’m grateful because everything I learned about teaching and education, I learned from watching Professor Merseth who is a great teacher. As we celebrate America’s great teachers we must also recognize the professors and practitioners who prepared them for the classroom. 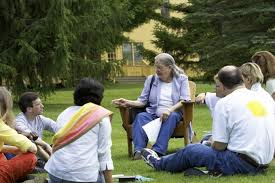 We know what comes first in producing great teachers – great teacher educators. During this Teacher’s Appreciation Week, I gathered with both. They shared the importance of having pre-service and novice teachers understand the social context in which they teach. We discussed the necessity of having both the desire and skills needed to connect with hard to reach students. And we all agreed that loving the work and children is non-negotiable in teaching. The educators also shared their challenges: understanding why a 4 year old child was chronically absent only to find that her family was homeless; addressing internal biases that impact instruction; recruiting highly trained staff in rural communities, and finding student teaching placements for deaf and hearing impaired teacher candidates. As they shared barriers and struggles, I also heard resounding pride – a celebration of learning, transforming, and growth — the rewards of teaching. Teaching makes all other professions possible so our teachers deserve our deepest appreciation and respect. To recruit and retain outstanding teachers we must value and support their work – recognizing that training teachers must be an on-going process of professional development and continuous learning. To develop an effective and diverse teaching corp, we must elevate the profession and encourage our best and most passionate to teach. In short, appreciating teachers must be a daily and continuous goal, and here at the Department, it is. Elevating the teaching profession – by seeking input from teachers and teacher educators, calling on Congress and communities to invest in the teaching profession, and shining a light on their good work—is at the heart of what we do. Celebrating great teachers is personal for me. My grandmother taught English in Brusly, Louisiana for 30 years and was fully committed to the academic success of her students and each member of our family. I also fondly remember teachers like Mrs. LaFleur in elementary school and Mr. Methvin in high school who challenged me and caused me to stretch and grow. America’s students must experience the transformative growth that comes from great teaching and I am grateful for those who are on a mission to educate students. I appreciate the teachers and teacher educators who are committed to our nation’s children and especially those who have taught me and now teach my daughter every day. It’s true — great teachers do more than educate they inspire. That’s why I thank a teacher. How about you? Accreditation’s historic function offers important protection for both students and taxpayers by assuring the quality of our postsecondary educational system. Today, the Department published a draft guidance letter in the Federal Register that, once finalized, will update the protocols for federally recognized accrediting agencies to share with the Department information on the actions the agencies have taken with their institutions and programs. The draft guidance is part of our broader efforts to improve accreditors’ and the Department’s oversight activities and move toward a new focus on student outcomes and transparency. Since accreditation is a prerequisite for schools’ participation in the federal student aid programs, it plays a “gatekeeping” role in institutional access to the annual $150 billion investment in federal student aid. Accreditors are responsible for ensuring baseline levels of acceptable quality and performance across diverse institutions, degree types, and academic programs. Based on information submitted by accrediting agencies, the Department makes accreditation information publicly available in the Database of Accredited Postsecondary Institutions and Programs. This same information is used to inform the Department’s oversight of accreditors and is listed within our consumer tools like the College Navigator – where accreditation status can be viewed alongside graduation rates, price, and other factors. Given the critical uses of information on accreditation, we must collectively do all we can to improve the accuracy and usefulness of the information by strengthening the reporting system. For example, accreditors are required to report their actions on institutions and programs on a timely basis, such as granting or revoking a school’s accreditation status, or putting a program on probation – but they don’t all use the same the terms or definitions. A “probation” decision by one agency may be the same as a “show cause” decision by another. And members of the public may not know what either term means. As a result, it’s difficult to compare apples to apples. And while accreditors share detailed justifications for their actions with the affected institutions and programs, they do not always volunteer the context to the Department or the public. Consequently, it is often unclear why a particular action was taken, limiting the utility of that information for the Department staff responsible for ensuring institutions are in compliance with the rules of federal financial aid. For example, it would be valuable to know whether an accreditor took a particular action because of an institution’s lack of compliance with the agency’s facilities and equipment standards, or because the institution was found to have systemically weak fiscal and administrative capacity. Finally, the information is not currently required to be submitted by accreditors to the Department in a consistent format that is easy to read, understand, and act upon. Accrediting agencies’ updates are often received in large compilations that mix positive, negative, and other actions, making it much less actionable. Clearly, the current reporting and information sharing process can be improved. We hear it from the students, employers, colleges, and other stakeholders who have trouble getting the information they need. We also hear this from accreditors themselves, since they sometimes spend extra time double-checking information they’ve already submitted when the Department isn’t sure how to categorize it. The draft guidance we published today aims to make reporting to the Department more standardized and usable so everyone benefits. We believe this updated approach will help Department officials who need accurate and complete information for our own institutional oversight work; it will help the students, families, institutions, states, and employers who depend on publicly available accreditation information to make important choices about pursuing higher education and hiring new employees; and it will help accreditors who will have greater confidence in publicly available information about their accredited institutions and programs. The U.S. Department of Education believes it is important to ensure that the public can have confidence in the current accreditation system. We encourage members of the public to submit feedback before we finalize the guidance; the deadline is June 6, 2016. Your feedback will help us ensure students and other stakeholders have the accreditation information they need, in a way they can use. America is home to the best colleges and universities in the world. These institutions provide students with quality degrees and certificates that prepare them for a good career, a good salary, and full participation in their community and our democracy. But there are still institutions that fail to offer hard-working students a quality education. These schools over-promise and under-deliver, leaving students without the education and skills for success in the job market and in life. To ensure all Americans have the opportunity to succeed in higher education and that federal investments to help students and families pay for college are well spent, we need the federal government, states, and accrediting agencies all to step up and fulfill the critical role each plays in ensuring the quality of colleges and universities. For more than half a century, the accreditation process has sought to help colleges and programs set standards and continuously improve the education they provide. And it is one stamp of approval the Department requires—an indicator that is intended to ensure a school offers a solid investment of public dollars—before an institution is eligible to receive federal student aid. But while this system is meant to focus our higher education field on quality, it is all too clear that we all must do more to address substandard and underperforming institutions, variations in quality and student outcomes, and the challenges facing today’s more diverse group of students. This includes our accreditors. Students and families trust that accreditation indicates that a school or program will offer them a worthwhile education that prepares graduates for work and life—in other words, positive outcomes for students. Accreditors’ evaluations must increasingly put a premium on student outcomes. We do not intend to impose specific standards on institutions, but want to ensure that accreditors establish and enforce strong and meaningful outcome standards, evaluated by the Department, that effectively address educational quality, including student achievement. Agencies need to do more than certify that institutions make quality offerings available; they must gauge the extent to which the institutions actually help more students achieve their goals. And because of our belief in the importance of equal opportunity to learn and achieve, that means strong outcomes for all students, not just some. The Obama Administration continues to work on shared efforts to update the accreditation process and better protect students and taxpayers. In November 2015, our Department announced a set of executive actions and legislative proposals to improve accreditation and improve transparency and accountability. At that time, Secretary Arne Duncan also invited further recommendations, specifically on improved information-sharing and coordination with accreditors and clearer guidance on the flexibility accreditors have to focus resources on problematic institutions, which we are sharing today. Meeting more regularly with accreditors to increase their knowledge of Department policies and, where possible, share information on schools of concern. Sharing more information with accreditors about actions the Department plans to take, once we have safeguards in place for sharing sensitive information. Requiring information submitted by accreditors to the Department to be structured to better distinguish where additional action is needed, and categorize key terms and definitions to promote consistency. Requiring—and sharing publicly when possible—more information from accreditors on why institutions were placed on probation, placed on warning, or found out of compliance with one or more of the accrediting agency’s standards. Clarifying the flexibility agencies have to differentiate review processes for institutions, with guidance on specific standards and criteria that accreditors could use to strengthen their focus on outcomes. The focus on outcomes is essential to increase the rigor of accreditation and to provide the flexibility that can foster the innovation we need in higher education in order to serve all students well. All of us—colleges and universities, accrediting agencies, the Department, states, and the public we serve—share a stake in ensuring quality outcomes for all students. The actions we’re announcing today represent another important step in this direction. But we can’t do it alone. In November, we announced a suite of legislative proposals that will enable accrediting agencies and the Department to conduct more rigorous, outcome-oriented reviews of institutions, and to take more forceful actions where appropriate. We look forward to working with Congress to complement the measures we have announced with new reforms that provide even stronger support for students and families. Last week, continuing the Obama Administration’s ongoing efforts to help Americans manage their student loan debt, we announced that all Direct Loan student borrowers could cap their monthly payment at 10% of their discretionary income. This plan – Revised Pay As You Earn (REPAYE) – is a game changer for the millions of such borrowers who may be just starting their careers or who need more room in their budget to pursue their dreams. However, it’s just one part of a larger effort to protect student loan borrowers. President Obama’s Student Aid Bill of Rights included actions and a directive to coordinate across multiple agencies to improve service and outcomes for struggling borrowers. Today, ahead of the President’s January 1st deadline, the U.S. Department of Education is announcing more progress toward the set of goals laid out by the President in March. This release complements the improvements and recommendations that we announced in August 2015 and the October 2015 Strengthening the Student Loan System to Better Protect All Borrowers report that we published at the President’s request. Completed a pilot program to learn how to increase our success at reaching delinquent borrowers to bring them current on their loan payments. Based on the variety of options available to borrowers, it is clear that the ability to have a conversation is key in helping determine which solution best fits their unique circumstance. Published the first Quarterly Private Collection Agencies’ Performance Report to the Office of Federal Student Aid (FSA) Data Center to provide greater transparency on their activities. Implemented a new set of student loan statement disclosures to provide clear and direct information to borrowers. Improving the student loan experience, including through transparency in data and improved customer service, and helping Americans manage their student loan debt are core priorities of this Administration – and have been since the beginning. We will continue to carry out the steps the President laid out in March to make college more affordable and ease the burden of student loan debt. Using the Department of Education’s name and seal on letters and emails to borrowers appeared to increase the likelihood that borrowers responded. Increasing the volume of communication and varying the outreach technique had a positive effect, especially when communications were sent at the same (or near the same) time. Sending communications to borrowers that were tailored to other borrowers like them appears to increase the likelihood that a borrower will respond. As a result, FSA will use ED branding, such as the Department seal, on more of its communications to borrowers and will make such branding a key requirement of a new student loan servicing acquisition beginning in early 2016. FSA will also continue to analyze and identify the most effective ways to contact the hardest-to-reach borrowers and share those best practices with its servicers. However, the pilot is just the beginning of the process in understanding how to reach delinquent borrowers and help them get back into repayment. Today, FSA posted the first Quarterly PCA Performance Report to the FSA Data Center. Going forward, this report will be part of the regular quarterly updates to the Data Center. The initial report reflects data from July, August, and September 2015. The report includes, for each PCA, initial inventory size at the beginning of the quarter and the total amount recovered during that quarter via consolidation, rehabilitation, voluntary payments, and wage garnishments. Future releases of this report will include information about PCA compensation. FSA has directed its servicers to begin providing certain enhanced disclosures and notifications by January 2016. All “in school” and “in grace” borrowers with federally held student loans, including PLUS and Grad PLUS borrowers who are in an in-school deferment will now receive a notice, generated quarterly beginning after the first disbursement of a loan. The notice will end at the beginning of repayment. The new notice will provide a real-time view of the borrower’s loan portfolio including actual borrower data for: total principal disbursed, total outstanding interest accrued, current total balance, and interest rate, allowing the borrower to make more informed borrowing decisions as they progress through their college career. The new notice also provides information on the various repayment plans including the initial payment amount, what a borrower would pay monthly based on sample data, the total interest paid, and the total amount paid, as well as a link to the servicer repayment calculator. When borrowers have been transferred to a new servicer, sometimes they are confused or are cautious of working with a new servicer because their prior servicer had not informed them that their account was being transferred. Now FSA will require the old servicer to tell the borrower, at least 14 calendar days prior to transfer, that they will be transferred to another Federal servicer with the receiving servicer’s contact information. If there are fewer than 14 days until transfer, the notices must go out no more than 4 calendar days after the sending servicer was notified. Servicers will be required to notify via the borrower’s preferred method, or by mail, and the notices will include any current action required of the borrower (based on the borrower’s most recent payment activity). Loan servicers are now required to provide additional information on all initial correspondence to borrowers to promote awareness of the Public Service Loan Forgiveness (PSLF) and Teacher Loan Forgiveness (TEACH) programs. Both PSLF and TEACH are beneficial programs in which borrowers can access student loan benefits based on their work and/or occupation. At the time borrowers apply for forgiveness, they will be required to submit an Employment Certification form for each employer where they worked while making the required 120 qualifying monthly payments. The form, which should be updated annually, is used to calculate borrowers’ progress toward meeting the PSLF eligibility requirements before and after its initial submission. This information will also be available on each servicer’s website and as part of the online Exit Counseling tool at studentloans.gov. All servicers are now required to include specific information on every billing statement, similar to what is typically available on other financial statements such as credit card bills or mortgage statements. The additional information will also assist borrowers in understanding how their payments were applied. The required information includes the amount of and effective date of the last payment made, as well as the breakdown of what portion of the last payment was applied towards principal and interest. An email with the Department of Education’s seal that is an introduction to repayment processes and options will be sent 10 days after notification of borrower’s withdrawal from school. A letter or email from a borrower’s servicer with an introduction to repayment including payment estimate and due dates 15 days after notification of borrower withdrawal from school. Repayment plan information notification after receipt of exit counseling completion confirmation. Department of Education-branded email notice 35 days prior to every due date. Every billing statement for a borrower who has certified his or her employment for PSLF will include the borrower’s current number of qualifying PSLF payments. Department of Education-branded email notice 45 days before income-driven repayment (IDR) renewal due date. Required phone and email follow-up for days 1-15 on all IDR applications that are pending or rejected due to incomplete or missing information. For delinquent borrowers, servicers will be required to send a repayment notification letter with repayment options at 30 and 90 days of delinquency. At 20 days of delinquency, an ED-branded email will be sent indicating the benefit of automatic payment (ACH). At 45 and 180 days of delinquency, an ED-branded email will be sent. Starting at 60 days, servicers will be required to make phone calls every 30 days until 240 days of delinquency. To increase innovation in higher education, ED recently announced EQUIP, which encourages partnerships between colleges and universities and new providers of education. It is designed to increase access to high-quality programs and encourage experimentation in outcomes-focused quality assurance. To increase awareness and understanding about EQUIP, ED will host a series of public calls and meetings. These are all open to the general public. The list below will grow over the coming weeks, so please check back here for further information. Questions and comments about the program should be directed to: innovation@ed.gov. As the deadline to submit letters of intent approaches, please see the information about what to include here [link]. EQUIP-Q1. What should an institution do if it cannot develop programs and form partnerships by the priority deadline of December 14, 2015? As always, please let us know if there are questions or comments. We are happy about the significant interest in EQUIP over the past several weeks. As the December 14th priority deadline approaches, by which colleges and universities must indicate an interest in participating, we wanted to remind folks of some helpful resources. Please let us know if you have any further questions or comments. We look forward to continuing to engage about EQUIP and other work.